You want your website to be easy to navigate. Customers should be able to find your products fast. It should be easy for them to check out. 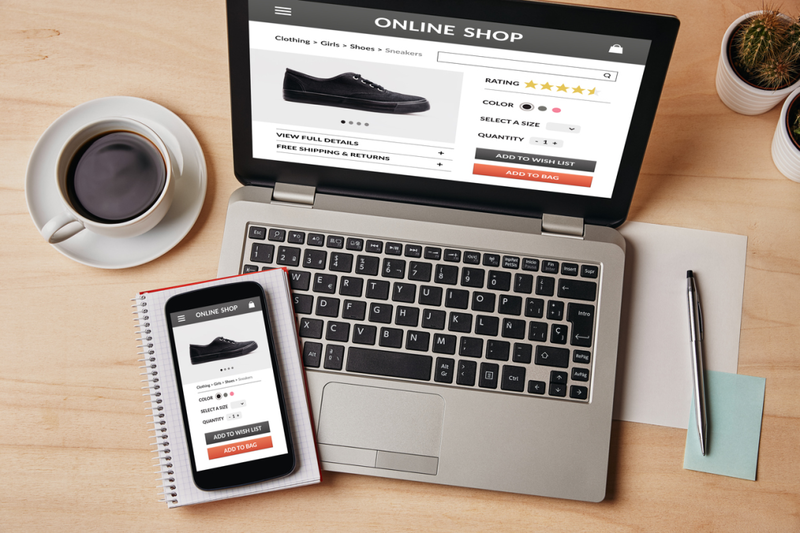 The better your eCommerce store is laid out, the better shopping experience customers have. The better shopping experience your customers have, the more likely it is that they are going to purchase things from you. A major part of navigation is selecting the theme that is right for the type of product you’re selling and the number of products you want to sell. For example, if you are selling just a handful of items, you may to do well with a smaller theme. However, if you are selling a large amount of items, you may want a bigger theme and a bigger menu. An easy to navigate eCommerce store is going to be clear and direct. When it comes to labeling headers, you want to avoid clever wording. You want your shoppers to know what they’re going to get and how to get your products. Not only does this help with navigation but it adds to your website’s SEO clout as well. The average website visit lasts less than a minute so any confusion about where to go on a web page is an instant kill to web traffic. Part of navigation includes having pivotal information at the footer, or the bottom of your website. Some of the more common things to include are terms of service, contact us, return policy, and shop. 3dcart has been built around engaging customers with responsive themes as well as incorporating Google tools to show where your customers are clicking first. Paired with page speed optimization, 3dcart allows you to build the navigation that quickly and efficiently points your customers to the right places. Imagine that you are a first-time visitor to your website. You know nothing about the brand and you know little about the quality of the products or whether or not customer service is good. What information would you want to see so that you would trust the brand and actually go through with the purchase? This is the information that you need to include on your site. For example, contact information is key. Nothing is going to make a client less inclined to purchase from your site if they can’t find a phone number or a mailing address. People want to know that they are buying from a real person who they can trust. Most people want to know the return policy. This makes it easier for people to send back products that they are not happy with. It also gives customers a sense of confidence knowing that if necessary, they can send a defective product back. Using an eCommerce platform allows a worry-free experience for you and your customers. 3dcart is PCI certified and secure — with a 99.94% uptime guarantee. Creating a privacy page detailing everything your company does to protect security is easy since 3dcart already takes care of everything. Just include that your website has bank grade security with 256Bit SSL certificate protection and 24/7 monitoring. Most eCommerce platforms, such as Shopify, force you to upgrade to their highest plan to avoid being redirected when it comes time to collect payment. 3dcart’s custom SSL certificates keep your customers on your domain rather than redirecting them to a shared checkout. SSL setup on 3dcart is quite simple and straightforward. On the other hand, the SSL setup on Shopify isn’t very intuitive, and overall quite poor. 3dcart offers a more secure version of SSL with Comodo, GeoTrust and Norton. It is likely that seven out of 10 of your clients are going to view your eCommerce store using a mobile device. Unfortunately, a lot of platforms are built for use on desktops. This is the best one — 61% of users will not return to a website due to a bad website experience and 40% will visit a competitor’s site instead. Basically, you’re making sales for your competitors — good job! When you build your theme, take the time to actually do a test and try to buy a product off of your site using a mobile device. If you’re not happy with the smoothness of the transaction, it is likely that your customers will not be either. Luckily, 3dcart is here to save the day since they’re designed to dominate on mobile. The mobile experience on 3dcart is AMP-enabled for the ultimate mobile experience and Google’s page speed tests don’t lie. Everything is about looks. People make decisions about your site within a few seconds of looking at it. The quality of the images that you use are going to go a long way in determining the impression that people have about your site. Remember, your eCommerce store should look and feel like a storefront for the products that you’re trying to sell. The photographs that you use must speak for the attractiveness and the quality of the products. When a customer walks into a brick-and-mortar store, they are able to try clothing on, they are able to feel what they’re going to purchase, or they are able to taste what they’re going to buy. All of this goes away when shopping online. Your customers are relying on the images that you provide to help them determine whether or not the product you offer for sale is right for them. You may have noticed that the majority of eCommerce stores show their product against a white background. This is because a white background makes it easier for you to pick out the details of the items that are being sold. A white background minimizes branding, so the product that is being sold will appeal to a large group of people. Lifestyle photos are great because they help you see what it’s like to use the product in everyday life. It helps your potential clients imagine themselves using your product. They see themselves as the models that are being shown. You can have the best product in the world, but if the aesthetics of your website don’t work, customers are going to be put off and will not purchase from you. The look of the store, the look of the site, and the way it makes your customers feel all impact the overall buying experience that they have. Over a 15 minute period close to 67% of people prefer to read something beautifully designed over something plain when surveyed and 38% of people will just stop engaging with a website if it is unattractive. Responsive and mobile ready themes are the focal point of making sure your website is beautiful. All 100+ themes on 3dcart are conversion optimized and look personalized and beautiful. No coding is needed and third party design experts are available and vetted. Everyone wants a “good website” and it is usually a prerequisite for opening for business. A lot goes into creating this magical good website but what really goes into it? It isn’t rocket science — it’s relatively basic. The thing is, it used to be hard to achieve the different components of good website design. Nowadays, websites like 3dcart allow you to create a perfect navigation map, build in mobile responsiveness, and ooze visual appeal out of every website pore all while building trust with your customer. The four fundamentals of website design are built into 3dcart which enables you to open for business as quickly as you’d like. We would love to hear from you. What has been your experience using eCommerce sites? What tips would you recommend for those designing their first eCommerce site? Let us know in the comments section below.